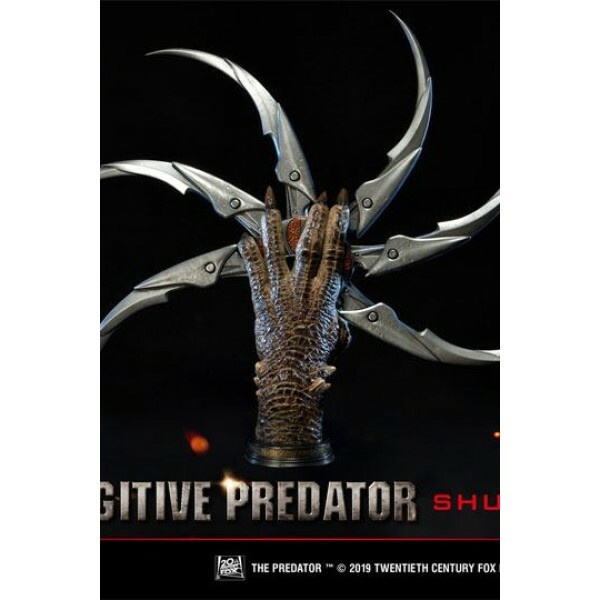 Prime 1 Studio is proud to present Life Size LSTPR03: Fugitive Predator Shuriken Bust from The Predator (2018 Film). 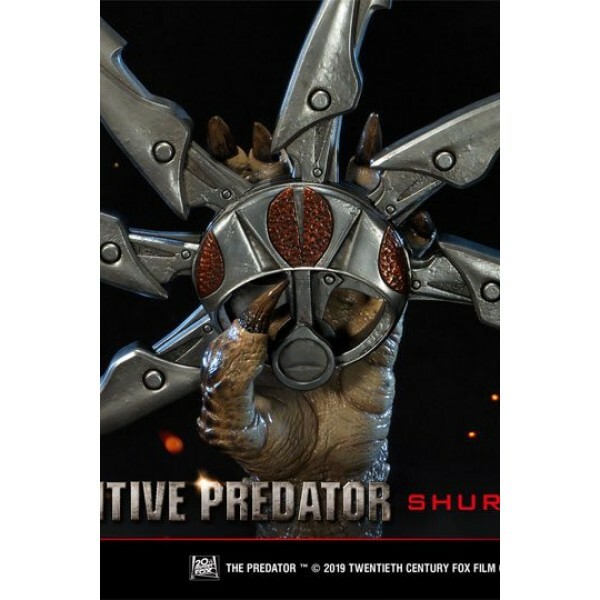 Prime 1 Studio is proud to present Life Size LSTPR03: Fugitive Predator Shuriken Bust from The Predator (2018 Film). 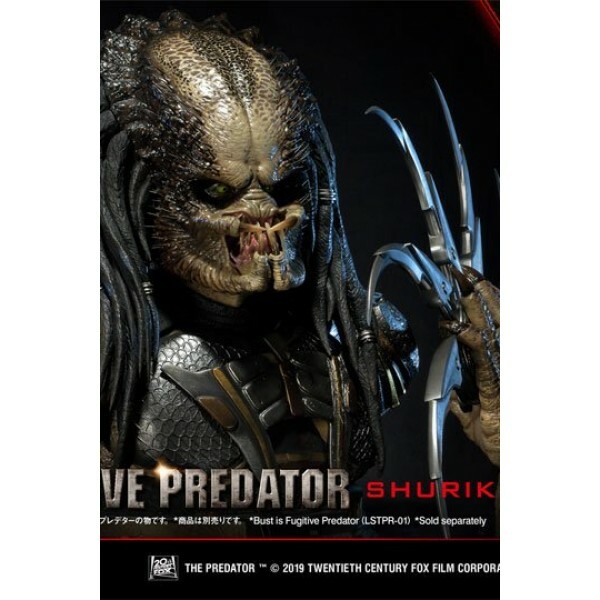 The Predator is a 2018 Science Fiction Film that will be directed by Shane Black. 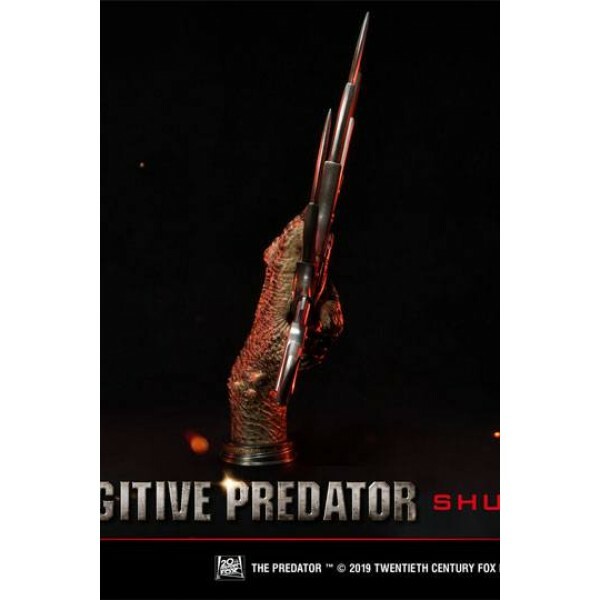 It will be a sequel to the 1987 film Predator. 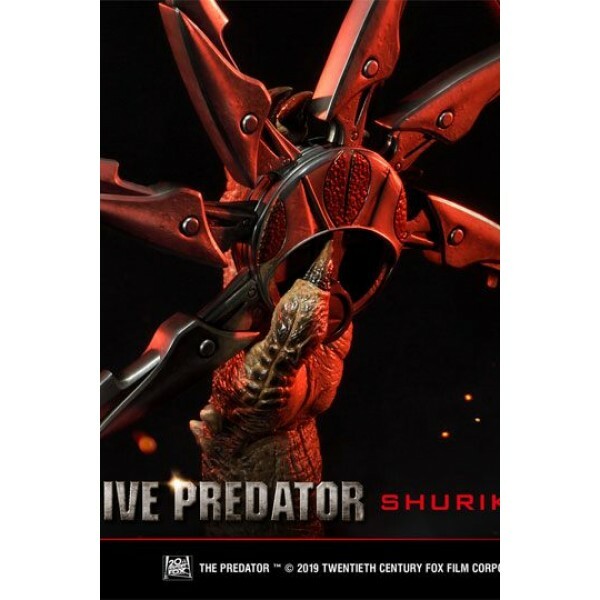 The Shuriken is a primarily thrown Yautja weapon. 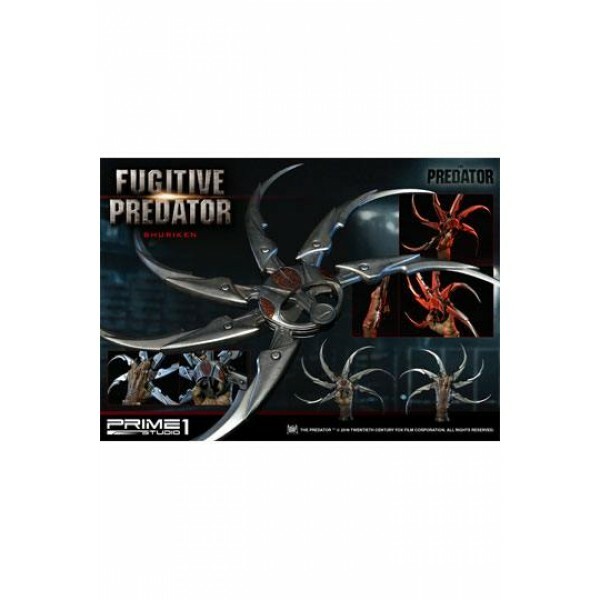 Constructed with six retractable blades, it is sharp enough to cut his prey in two. 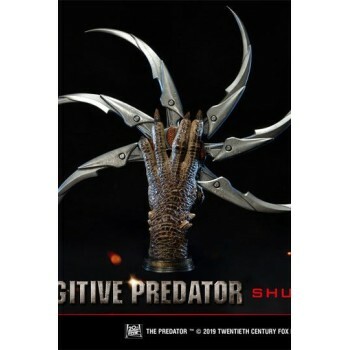 The Fugitive Predator Shuriken Bust was made using Props 3D digital scan files as you will see in the film, making this the most film accurate of Fugitive Predator you will ever find.